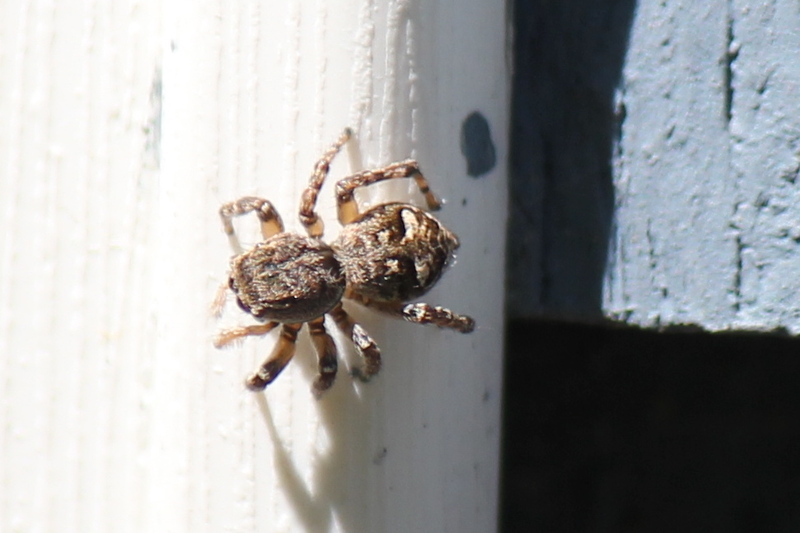 This little spider was only about 5 mm in size. She appeared on the siding of this house in Orrington and immediately gained my attention. She only had seven legs! 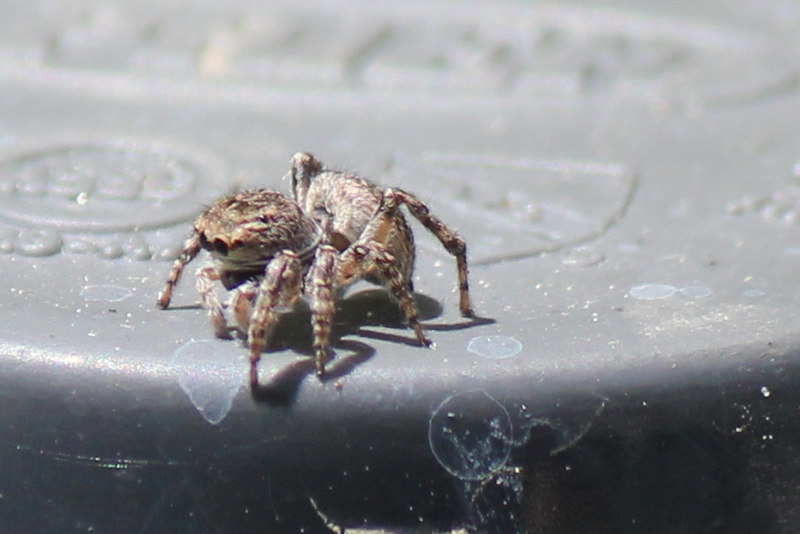 In the second photo below, you can see that she has two pedipalps in front, four legs on her left side and only three legs on her right side. That didn't stop her from jumping though. In the third photo she is hunched up ready to jump.